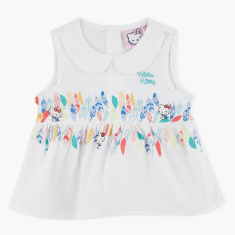 Dress your little daughter with this elegant top that can fit any occasion. 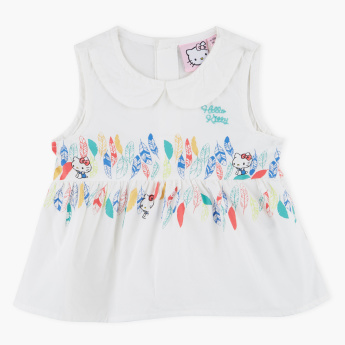 The stylish collar and placement prints accentuate its look. Round neck and back button closure ensures easy dressing. 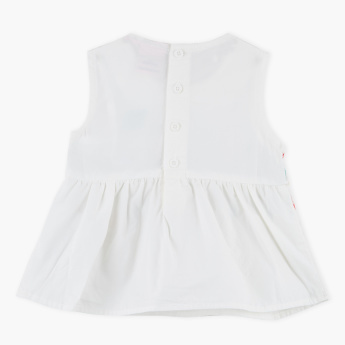 The soft fabric will keep your little ones comfortable the whole day long.